The people come together on a wooded hill beside the Missouri river. Stars wink and glow around the Full Moon high above the circling trees. Within the ancient oaks, fireflies buzz and flash their eerie light. The night air is still, hushed. Forty people surround a blazing fire, hands linked, their attention directed toward the woman who stands before the blaze. Outlined by the leaping flames she begins an invocation to the Goddess. The words, soft at first and then stronger, clearer, spill from her lips. "Goddess of the Moon," she says, "You of all power; we gather here on this night of the Full Moon in Your honor." Twigs snap in the fire. "God of the Sun, magnificent One, You of all power..."
The invocation ends. 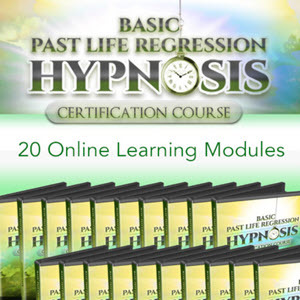 The woman raises her hands to the sky as the group begins moving clockwise with a slow step. The people-some in hooded robes, some in street clothing-quicken their steps. They chant in a low monotone, their words unintelligible ay first. Wood crackles. Moonlight spills down. Naked feet kick through the dirt. Fast. Faster. The group practically flies around the blaze and the woman standing amidst them, as they turn their minds to their purpose. After an unmeasurable time, the lone woman calls a halt. The group instantly stops, and its members simultaneously point their hands at the hooded figure. She glows, radiates, trembles, and directs the energy they've projected to her up to the Goddess, repressed by the glowing orb in the sky. Exhausted, the group sits on the bare Earth. Watching the fire, they talk and laugh and pass around wine and crescent-shaped pastries. Wiccans revere the Goddess and God. Current Western religion, Wiccas feel, is out of balance. Deity is usually referred to as God (as opposed to Goddess). God the Father is a common term. The concept of male "saviors" directly descended from male divinities is widespread, even outside of Christianity. The representatives of these organizations-such as religious officials, priests and ministers-are usually male, though this is slowly changing. To sum up, contemporary Western religion focuses much of its attention on maleness. The Wiccans are different. They see nature as a manifestation of the divine. Because of this they argue that a male divinity revered without a female deity is, at best, only half effective. Both sexes exist in nature. If nature is a manifestation of divinity, then divinity also manifests in male and female forms. Hence modern Wicca is usually (but not always) centered around reverence of the Goddess and God. Both-not one, not the other. Such a concept, though it may seem surprising in today's world, is certainly not new. Ancient religions are replete with deities of both sexes. Faiths in many parts of the world today are also in line with this concept. Where ancient religions live unhindered by well-meaning but culture-destroying missionaries, goddesses and gods are still worshiped as they have been for millennia. So Wicca is a religion built around worship of these two deities, the Goddess and the God. They are often thought to be twin energies, or nonphysical manifestations of the power that was discussed during Part I of this book. As primeval peoples began practicing folk magic, some sensed presences or personalities within the forces of nature. This was the advent of all religion. Wicca is in harmony with ancient religious practices and principles. It isn't a step backward, for Wicca has been structured to speak to these times. Nor is it a slap in the face of Christianity or any other contemporary, male-based religion. Wicca is an alternative religion, one that is fulfilling to its adherents. The Earth is revered by Wiccans as a manifestation of the Goddess and God, and nature signifies the process and wonders of the Earth that are undetermined by humans. Because nature and our planet are linked to the Goddess and God, they are both sacred, holy. The Earth is a living organism, a direct gift from the Deities. Other religions preach that the Earth is a world of illusion; an arena upon which to store up credits that will be cashed in after death, or simply a tool humans can, and should, "dominate and subdue." Wiccans, in contrast, respect the Earth. Many Wiccans belong to ecological organizations or groups dedicated to halting the senseless slaughter of animals for human beautification. They may protest nuclear reactors, which have the real potential for causing far greater harm than good. They fight developers who bulldoze trees and cover acres of land with concrete and blacktop. Because they see the earth as a manifestation of the Goddess and God, Wiccans are concerned about its welfare: they lend it human energy in order to help it recover from the ravages which humanity has inflicted upon it. In this sense, Wicca is truly an Earth-religion. Magic, as we've seen, plays some role in most religions. In Wicca it's given a more prominent place. Wicca isn't religious magic, though its followers certainly do practice it. It isn't a magical religion, either. Wicca is a religion that embraces magic, that welcomes it as an opportunity to attune with divine, Earthly, and human energies. Because Wicca is truly a religion, magic takes a secondary role in its rituals. Even if a rite is performed for a specific magical end, the Goddess and God are always invoked before the power is sent. 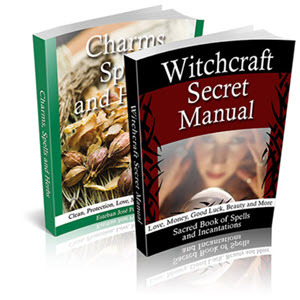 The magical aspects of Wicca confuse outsiders, perhaps because in most other religions only priests or saviors are believed to be able to, in a word, channel divine energies. Wicca isn't so exclusive; it views magic as a natural part of life and of religion. 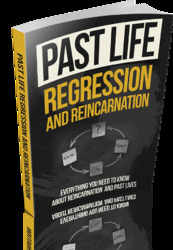 Reincarnation is an ancient teaching that most Wiccans acknowledge as reality. Basically, reincarnation is the doctrine of rebirth-the phenomenon of repeated incarnations in human form to allow for evolution of the sexless, ageless human soul. While reincarnation isn't an exclusive Wiccan concept, it is happily embraced by most Wiccans because it answers many questions about daily life and offers explanations for more mystical phenomenon such as death, birth, and karma. Some say "Reincarnation? Bah! That's just Eastern stuff!" It's true that reincarnation is best known from teachings that originated in what we now know as India. However, the idea itself is probably as old as human existence. A seed drops onto the Earth. It sprouts and bursts into life. Leaves unfurl. Shoots rise up and explode into flowers. Seeds drop to the ground. The plant withers and dies, but by next spring another plant will struggle up from the soil. The doctrine of reincarnation may have originated from observation of natural processes such as this. Those who have accepted it as reality, including many Wiccans, have found it to be comforting. The fifth major difference between Wicca and most other religions is that it is non-proselytizing. No person is ever pressured into becoming Wiccan. There are no threats of eternal hellfire and damnation, no retribution for not practicing Wicca. The Goddess and God aren't jealous deities, and Wiccans aren't frightened or subdued by them. Candidates for initiation (of which more will be said in Chapter Nine) don't denounce their former faiths. Wicca is not a brain-washing, human-controlling cult masquerading as a religion. Wiccas don't recruit new members, then smack their lips and rub their hands together as more enter the religion. There are no Wiccan missionaries, no "witnesses," no Wiccan pressgangs. Perhaps it's not too strong to say that the highest form of human vanity is to assume that your religion is the only way to Deity-that everyone will find it as fulfilling as you do, and that those with different beliefs are deluded, misled, or ignorant. It's understandable why most religions and their followers feel this way, and why they participate in converting the masses. Watching others change to their faith reestablishes that faith's genuineness in the mind of the converter. Some members of orthodox religions are truly concerned for the souls of nonbelievers, but this is based on their religion's narrow-minded teachings. Another aspect of proselytization involves politics. If Religion A converts Country B, it increases its political and financial power in that country. The same is true of important persons. Orthodox religions have far-reaching influence in the realms of government and finance. Political candidates backed by major religions are often elected, and then propose or support legislation that furthers that religion's interest. This may all be on the sly (voters may not know the true nature or extent of the candidate's links with organized religion) but the effects are the same. Money is also a powerful incentive to spread the word. Organized religions today in the United States take in billions of tax-free dollars every month. True, some of this money is spent on charitable causes, but the bulk of it pours right back into the faith's bureaucracy, fattening the bank accounts of the individuals who run it. So the more followers, the more money. Wicca simply isn't like this. It isn't organized to this extent. National groups do exist, but mainly for social and sometimes legal reasons. Regional gatherings of Wiccans may draw hundreds of persons, but local covens usually number less than ten members, and many Wiccans practice their religion alone, with no group affiliation. Wicca isn't a financial institution and doesn't strive to become one. Students don't pay for initiation. Small fees, where they do exist, are similar to dues required in any group to pay for supplies, refreshments and so on. So the stories of Wiccans (read Witches) belonging to a worldwide organization that aims to rule the world are false. So too are the lies about Wiccans trying to coerce others into joining their religion. They simply aren't that insecure. Don't worry; Wiccans aren't out roaming the streets plotting to force little Jimmy to join a coven, or to bilk Aunt Sarah out of her life's savings. They're content to practice their religion in their own way-either alone or with a few others. They are aware of the differences between Wicca and other religions, as well as of the ultimate goal of all: union with Deity. When I was in the fifth or sixth grade I read a book about Greek and Roman religion. After describing ancient rituals devoted to the likes of Diana, Pan, Demeter, Zeus, and Proserpina, the author stated something to the effect of: "Of course, no one worships these gods today." Even that early in my life I remember asking myself "Why not?" Many others have felt the same way. Male-dominated, monotheistic religion has had to make room for the mushrooming interest in Wicca and other polytheistic religions. Tens of thousands of persons from all walks of life are attuning with deities associated with the Earth, the Sun and Moon, the sea, and the winds. Many of these persons come to Wicca, and in doing so, find a religion that speaks to them. Because Wicca is a religion, the Goddess and God are all-important. The rituals, symbols, tools, chants, and dances serve to celebrate the Deities in specifically Wiccan ways, and magic is used to create a common ground where humans enhance their relationships with divinity. However, a personal relationship with the Goddess and God is what Wicca is all about. The mention of the religious aspects of Wicca may prompt some questions. Who are these mythic figures? What are their names, their attributes, their stories? How can Wiccans attune so closely with deities scarcely acknowledged, or completely ignored, by the outside world? Such questions are difficult to answer in all but the most general ways, for the religious experience is one shared with Deity alone. No two Wiccans can describe the Goddess in exactly the same way, just as no two Christian descriptions of God would be the same. The Deities are known by countless names, most of them drawn from ancient religions-British, Egyptian, Greek, and Roman names are frequently used. Just as Isis grew from a localized deity worshiped in a small area of ancient Egypt to a nationalistic Goddess ruling everything from childbirth and healing to beer-making and navigation, so too do the Goddess and God claim dominion over a vast number of natural phenomena. This chapter explores some facets of the Goddess and God as they are known to some Wiccans. This is the heart and soul of the religion.